In today’s digitized world success of business largely depends on a company’s online presence. So if you are feeling frustrated for not getting the desired result in your business, you need to think back once. 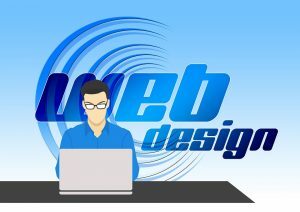 The best way is to consult with a web design and development services. They would rightly analyze if your website looks enough appealing, if it is able to draw attention of the targeted customers and furthermore if it has the required functionality. Once this analysis is done, it would be easy for you and the designing firm to plan the areas of modifications which may create an awesome experience to the visitors of the site and induce them to spend enough time on the different pages as per their search. But to use your site as the greatest tool in digital marketing choose a web design and development services company which is experienced and competent to carry out the desired work. Here are the main points you must know before selecting a development and design service provider. First check if the company has considerable number of years’ experience in web development and designing services. It is also important to track how many clients they are handling and who are the clients. Also try to find out the number of people working in that company and what is their quality of work. To check the quality you may always ask them to show you their work examples to prove their proven skill in web design and development services. Second, be clear about the amount you may have to pay in the very beginning. The cost of website designing may vary a lot. Some company offer you a development and designing services as cheap as almost zero, where paying for the hosting cost is enough. But there are other companies where you may have to pay moderately and in some cases it may also lead towards a huge sum of money. So you must make a clear cut idea about the exact expenditure involved in it which obviously needs to fit your budget. The third point you should take into consideration is the web design and development services company’s ability to offer you the support of a content management system. A content management system or CMS provides is the flexibility on adding modifying and deleting content anytime anywhere making your website updating easy, fast and well managed. Your next duty should be to find out a great support provider. Before you sign a contract and hire a web design and development services, ask them if they can offer you 24X7 hrs service and support to you as and when you may need it. It would be ideal if the web design and development services you are planning to hire can offer you additional support on shopping cart page design services and custom eBay storefront design services also. If you can choose a single company with these multiple services, it would make it easier for you to handle all these services at a time. Creating a well designed shopping cart with unique theme will significantly back the performance of your stunning website. Since eBay is one of the most popular retailing platforms, every business owner like you must focus on quick and steady conversion rate through your eBay account. One expert web design and development services provider can offer you customized eBay storefront designing too which will not only engage your audiences, it will additionally increase your brand value, with enhanced trustworthiness, safety and security including a sharp rise in business returns.